Hi my name is Fia and I am going to tell you lots about Diversity. I know about lots of foods from other cultures. Fijian people eat lovo, taro, kasava, fish, and fresh coconut. Indian people eat chicken curry, Roti and butter chicken. Chinese people eat pork buns and fried rice.Thank you for reading! 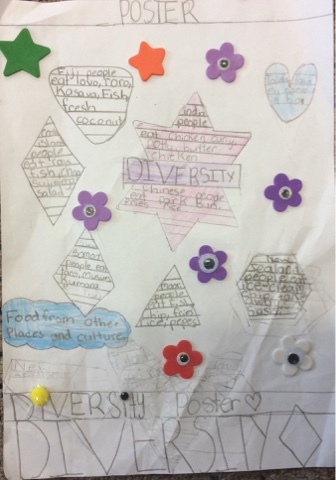 This poster of yours is amazing it shows what different kinds of foods other cultures eat.